There are a lot of changes that everyone goes through as they grow older — walking, middle school, driving, turning 21, entering the workforce, and eventually retirement! And through these years, as you’ve probably recognized, your body changes. And this includes your teeth as well as your waistline, eyesight, or hairline. So, from the time when your first teeth starting pushing through your gums as a baby to when they start fading and gums start receding when you’re older, what journey do your teeth take? At East Pershing Dental in Cheyenne, we are passionate about the health of your teeth throughout your life. 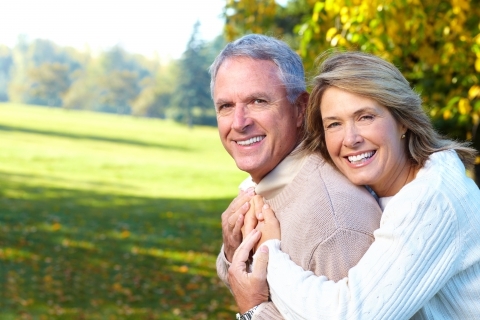 Learn how your teeth grow and age as you get older and get in touch with a local dentist today! Our team of compassionate dentists will ensure that you are comfortable during your visit. The substance of the tooth begins to form when a fetus is about six weeks old. At around three or four months in the womb, a baby’s teeth develops the hard tissue that surrounds the teeth. Typically, infant teeth are all different and come in at various ages; however, they start to show between six and 12 months old. The first teeth that start to come through the gums are usually the front, middle teeth on the lower jaw. These are called the central incisors. In the following months, the teeth will begin to show starting with the front teeth and then more will come through toward the back. The final molars typically emerge between 23 and 31 months. When the teeth begin to come through the gums, they generally show up one tooth per month. Because every child will be different, it’s ok if your child’s teeth don’t follow this pattern. However, if teeth do not come in within a year after the typical time, schedule an appointment with a Cheyenne dentist to make sure that everything is developing as it should. This is the exciting time when you and your kiddo can test out various ways of pulling out a loose tooth! 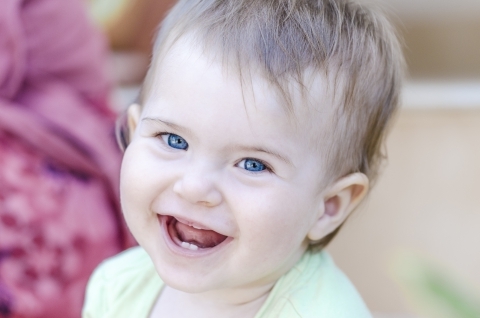 The first baby teeth that are lost are usually the central incisors and the first molars at around six years old. 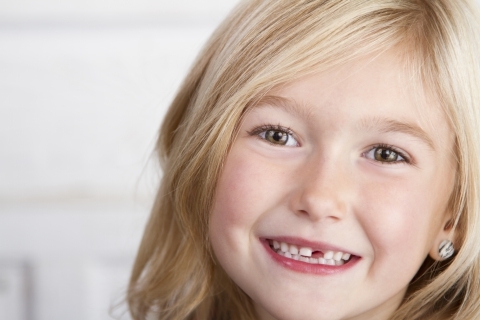 A child’s adult teeth typically come in the same way they fell out, but again, your child may vary. The remaining adult teeth typically come in between nine and 12 years of age. Dentists refer to these teeth as your third molars and come in somewhere between 18 and 21 years of age. When third molars come in, they generally don’t come in straight but are commonly at an angle. They can also only partially emerge, increasing the risk of bacteria growing, which can lead to infection and other oral health issues. If you are experiencing pain and think it could be your wisdom teeth, schedule an appointment with a local dentist. After you have solved any wisdom teeth related issues, there typically aren’t any major milestones, but a general aging of your teeth. This doesn’t mean you can neglect your teeth, though. In fact, it means you should pay closer attention to them than ever before. Over time, due to the foods and drinks you consume and your family history, the enamel on your teeth slowly wears away. As you travel through your 60s and 70s, you may notice the color of your teeth fading due to the yellow dentin showing through the enamel. There’s also an increased risk of gum recession. The health of your teeth through these years is why it’s so important to have a consistent brushing and flossing routine, as well as a regular visit to your dentist. Without regular dental cleanings as you age, you’ll face an increased risk of periodontal disease which can develop when plaque builds up and goes undetected or untreated. Medication is another cause for dental-related issues, including puffy gum tissue and dry mouth. If you still need another reason to pay attention to the health of your teeth as you age, there’s increasing evidence that gum disease can increase the risk of developing diabetes, heart disease, stroke, and respiratory problems. This could be due to bacteria from the teeth traveling through the bloodstream causing inflammation. From the time teeth first start to develop in the womb to your retirement years, your teeth have gone through quite the journey. After your adult teeth have come in, they are the only teeth you have with you, making it incredibly important to care for them every single day — twice a day, actually. If your teeth need some attention from a dentist, schedule an appointment with East Pershing Dental in Cheyenne today. We’ll make sure your teeth are healthy and strong throughout your life.